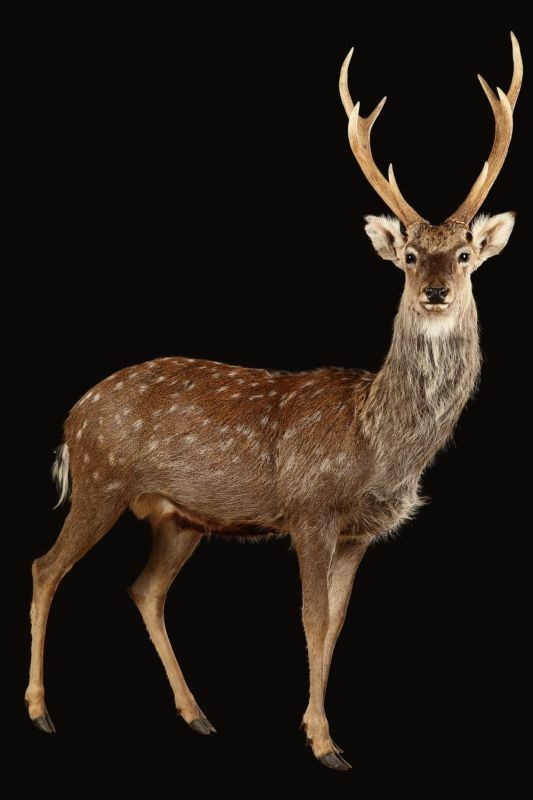 Sika deer lives in some parts of Asia, such as Manchuria, China, Japan, Korea and Siberia. The largest populations of sika deer are found in Japan, on the island of Hokkaido, in Nara region. It is also found in Europe, in the central regions, such as Switzerland. The sika deer lives in forests, but also in open areas, coastal and subalpine. Sika deer was also imported by Man in parts of New Zealand and US regions. Sika deer is a small deer that measures between 1,10 and 1,30 m. Its height at the withers varies from 60 to 75 cm. The deer weighs between 35 and 55 kilograms. Its coat is light brown, with white spots. Its dress darkens in winter, removing the white spots. Sika deer is also defined by its greyish belly, its white tail with black stripes and eyebrow lighter than its nutty dress. It feeds mainly herbs, but also fruit, leaves, bark and lichens. Sociable, sika deer lives in groups, usually made up of a dozen females and young. Males live for their part in smaller size groups. They can also live alone until the time of rary. Sexual maturity of sika deer occurs between 18 and 30 months. The rutting and belling seasons last from late September to early November. Gestation lasts seven months and usually leads to the birth of a single child. Young is weaned at the age of six months. The sika deer can live up to fifteen years in its natural environment. 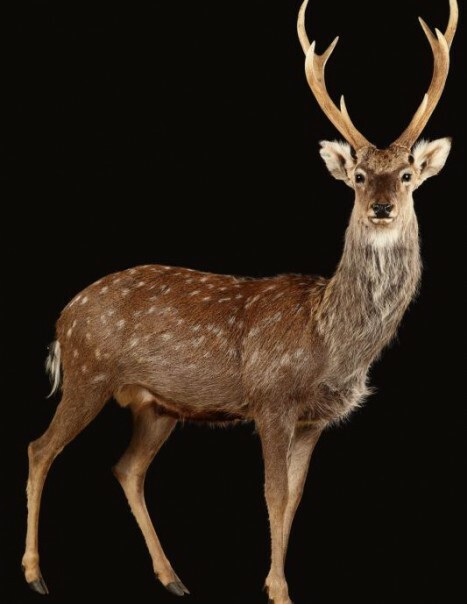 Sika deer is a mammal that is not in danger of extinction. However, intensive agriculture can be a danger to their natural habitat.